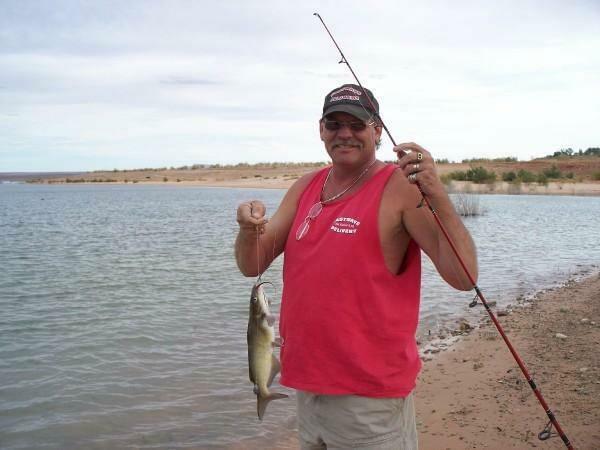 Steven Alan McDaniel passed away peacefully in his home with his family in Apache Junction, Arizona at the age of 54 on March 3, 2017 at 4:07 AM. Steve was survived by his wife Kathy McDaniel, children Tyra, Shannon & Kaila McDaniel, grandchildren Gabe Deleon & Devan Bell, father Albert McDaniel, mother Darlene Clark, stepfather Robert Clark, sister Karla Beeman, brother-in-law Bill Beeman, nephew Jeff Beeman, and niece’s Holly & Daniela Beeman. Steven was born on January 31, 1963 in San Diego, California to Darlene McDaniel/Clark and Albert McDaniel. He graduated from Helix High School in 1981. Steve married Kathy, his high school sweetheart and one and only true love on 10/19/1985. They were together for 37 years and married for 32 years. After moving to Arizona in 1992, Steve began working for Frank’s Auto and Truck as an auto parts specialist. He worked here for 7 years then, Steve opened his own business as a courier company called Fastway’s which operated for 4 years until Steve went on disability from his hip replacement. Steve was gifted at working with his hands and tearing apart to put back together any car or truck. He was passionate about any type of project he could work on and build in his garage, His number one project was the pre-runner he built from the frame up. He had several four-wheeling adventures with great friends and family, which included trips to Martina’s Cabin, Sycamore Creek, Glamis and countless camping and hunting trips. His number one passion was boating on his boat, Miss M, at his “happy place” at Canyon Lake. Steve and Kathy have had their boat in a slip at the dock at the lake for the last five years. Steve loved going to the lake where it became the only place he felt relief of his pain enough to enjoy hanging out with remarkable friends and family. He enjoyed barbequing and fishing while sitting on the dock at the lake socializing with friends. The lake was a second home to Steve. Steve’s children remember him as an adventurous, kind, hardworking, dedicated father who encouraged them to pursue their goals. His wife was a stay-at-home mom for the first 10 years of their daughters lives so they could raise their children without daycare. Steve worked hard to ensure his family had everything they needed. He was generous, easygoing, fun-loving individual who loved his wife and family. Steve could fix anything the girls asked him to fix from house to car problems. He was extremely handy and had a great sense of humor. Steve loved playing jokes on his family. Steve loved spending time his two grandchildren who called him Papa. The family would like to thank Kathy for her devotion in caring for Steve. She never missed a doctor’s appointment and made sure Steve was comfortable every second of every day until he passed. Words cannot even begin to express the true commitment she had with taking care of Steve as a fulltime caregiver and wife. We would also like to thank Karla Beeman for her love, support, care, and guidance for Steve and the entire McDaniel family. We would specially like to give thanks to Brandon Roth for his love for Steve and dedication to our family. Brandon sang “Somewhere Over the Rainbow” during the last few moments of Steve’s life and we wouldn’t trade that moment for anything. The McDaniel family was extremely sad for their loss but happy that Steve is free in Heaven and no longer in pain. Steve’s celebration of life will be held in Gilbert, AZ at his daughter and son in law’s house on April 22 from 2PM to 6PM. All are welcome to attend and celebrate Steve’s life. Kathy, Our deepest sympathy to you and your family in the loss of such a great man. Steve must have provided inspiration to so many people. We know the Lord will support you and help you all as you move through this difficult time. Very sorry for your family’s loss. Steve was a good man and I’m thankful for the time I got to spend with him. It was fun turning wrenches and drinking beer in the garage with him getting to do some things I wish I could do with my dad. I’ll always remember the good times. Rest In Peace Steve. Steve was always a welcoming person. Always there to help anyone in need. I enjoyed many nights sharing a 6 pack with Steve as we worked on pre runners or sand rails. I shared many times at the dunes with Steve and his family. Never once a dull moment with the McDaniels. His number one priority was making sure everyone was having a good time. We had great times at apache lake for the holidays during the summer. Godspeed mr McDaniel. I will never forget you. Kathy, Kaila and Family. I am so sorry to hear about your loss. Please accept my condolences. I was looking at my fathers obituary on here and came across this. Celebrate him and his wonderful life with joy in your heart. Jackie, thank you for your kind thoughts. Hope you and your family are doing well.